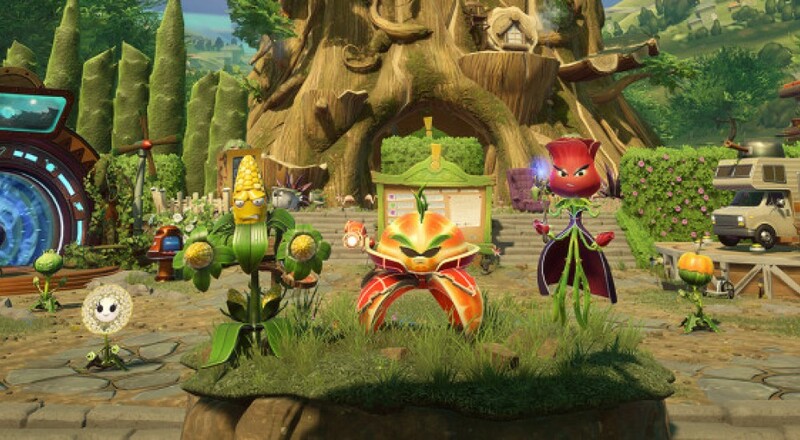 Rather than do the usual menu-driven lobby affair that other games employ, Plants vs Zombies: Garden Warfare 2 will allow players to group up and access all of the title's various modes/maps from there. The hub will also feature its own series of dynamic events to keep players engaged in the continuing feud betwixt floral and undead. Dubbed the "Backyard Battleground," the hub will act as the main location where players can pick up their daily quests, get missions from Dr. Zomboss and/or Crazy Dave, and interact with other characters from the PvZ universe. There will be a total of 12 maps that players can battle across, including one on the moon, titled "Moon Base Z,"
Players eager to engage in some garden warfare can get access to a "Grass Effect Z7-Mech" suit if they pre-order. Basically, Bioware is getting Mass Effect in your Plants vs Zombies. EA likes to call it "a money making maneuver." Garden Warfare 2 Steals Mass Effect Tech In "Grass Effect"
Page created in 0.4871 seconds.